Kae Whitaker is the owner and CEO of Kae Whitaker Solutions. With over 10 years of experience in retail sales and marketing development, Kae now focuses on helping small businesses stay competitive in their respective market and surpass their revenue goals. 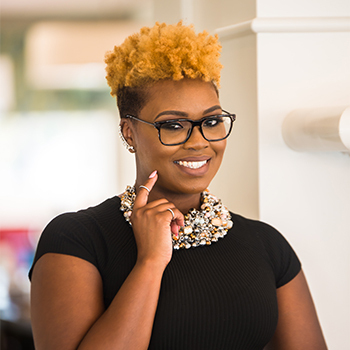 Kae has worked with some of the nation’s largest retailers, and has now taken her expertise in Retail Sales & Marketing Development to create her premium coaching programs that help small business owners tune into what matters most in their marketing efforts, streamline their processes, and maximize on their clientele. Kae’s highest achievements comes through helping others reach their goals, and would love the opportunity to help take your brand to the next level.